Mikhail Chigorin quit his job to play chess and subsequently became one of the best. A leading Russian chess player, he fought for the World Chess Championship not once, but twice! Despite losing to Steinitz both times, he was regarded as a top player and also a major source of inspiration for the “Soviet Chess School”. Through his original talent, animated games and important opening novelties, he left a lasting legacy for students of the game to study today. Mikhail Chigorin learned how to play chess at the age of 16 but did not start to take the game seriously until after he finished his studies in 1874. Once he caught the chess bug, he quit his day job to become a chess professional. In the great London tournament of 1883 where the top 14 chess players in the entire world played, Chigorin finished fourth. Later he tied for first in the very strong tournament of New York and followed this up with challenging Wilhelm Steinitz for the World Championship. This first attempt finished in a loss and his second attempt in 1892 for the World Championship followed the same result. Despite this, Chigorin never gave up and had one of his best performances in 1895 when he came in second ahead of world champions Emanuel Lasker and Steinitz. Near the end of his life he won the first three All-Russia Tournaments, thus securing his place as Russia’s best player. 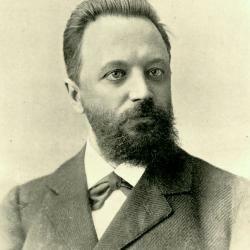 Chigorin passed away on January 25, 1908.